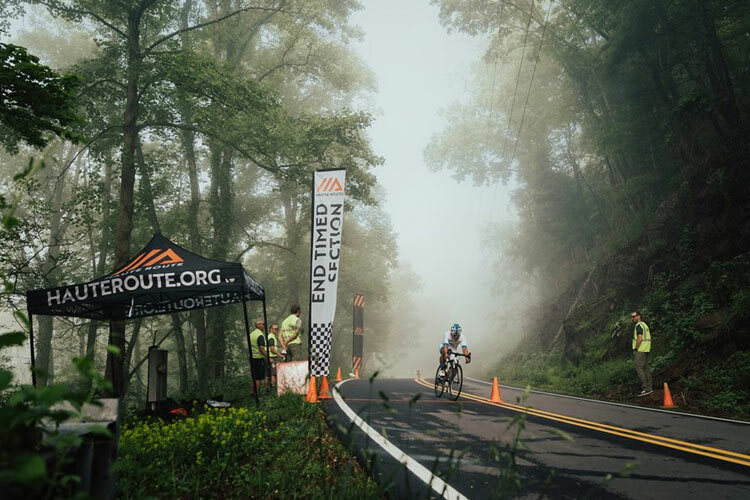 Last weekend, the prestigious European cycling event series Haute Route was held for the first time in Asheville, N.C. 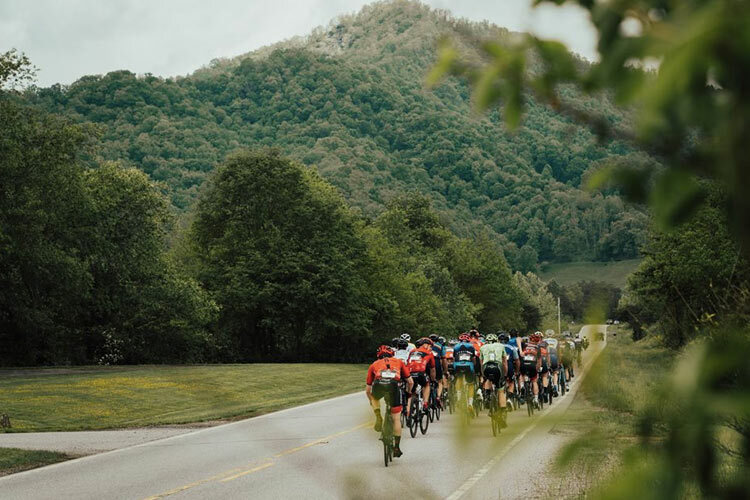 It was a rainy weekend, but that didn’t stop the riders from taking on the brutal climbs, winding roads, and screaming descents of the area’s mountains. 200 riders from eight countries and 32 states came to ride Haute Route Asheville. 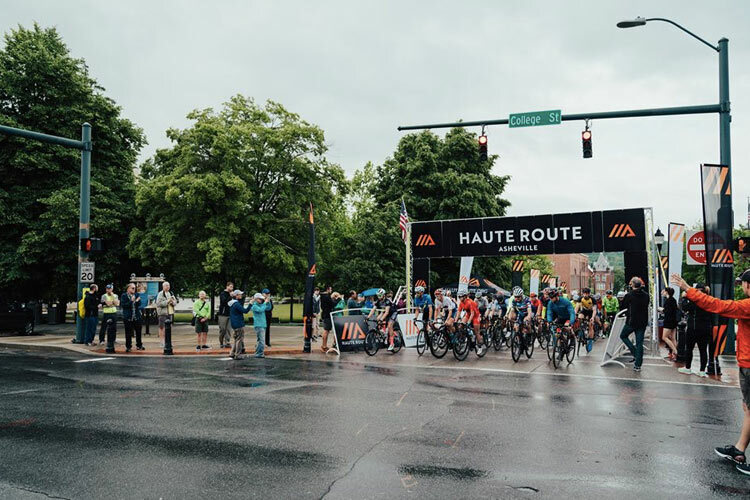 Following last year’s success at Haute Route Colorado, the series expanded to include three more events in the United States. Starting with Haute Route San Francisco, this year’s routes are looking to rival those of its European predecessor’s. If you’re not familiar with Haute Route, they secure the best routes for cyclists to ride, at the world’s best cycling destinations. 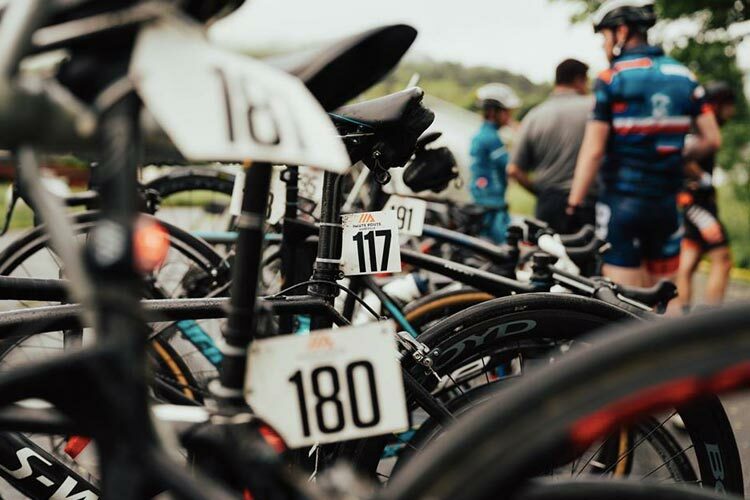 From private, never-before-ridden roads to police-escorted group rides, they are the world’s most prestigious cycling events for amateur riders. 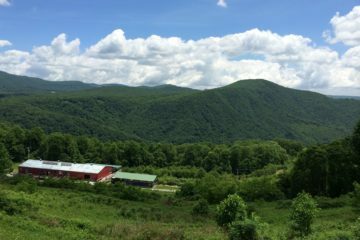 The Asheville event was held over three days in three stages. It included over 192 miles of riding and 20,000 feet of climbing. This year, Corey Davis dominated the men’s overall and Danielle Baker took the top spot in women’s. For detailed results, click here. During the event, I had the chance to sit down with Alain Lambert, chairman of Haute Route North America. A former rider himself, he now coordinates events and seeks out new destinations for the organization. 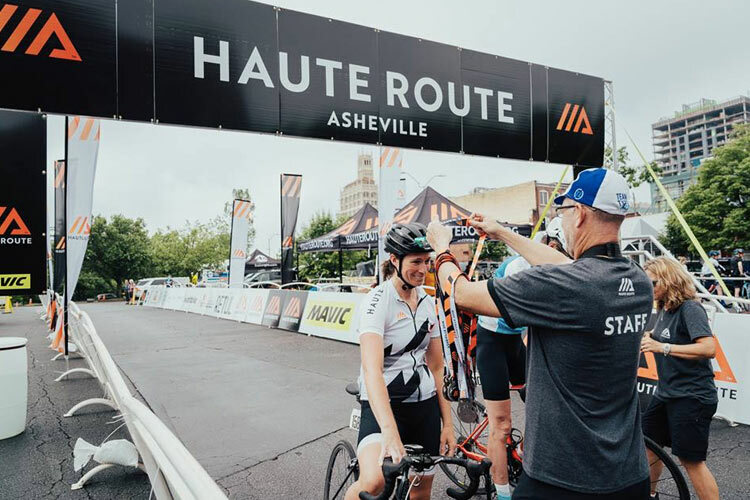 How did Haute Route end up in Asheville? AL: We spent most of 2017 scouting locations across the U.S. We knew we wanted to find two or three locations in addition to Colorado. We have a formal process that includes interviewing riders, industry professionals, and ex-racers. 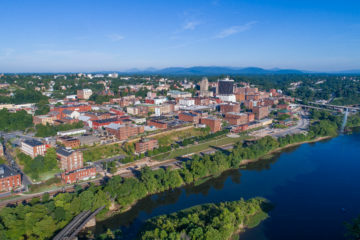 Asheville kept popping up at the top of every list. Also, I had been here at a training camp about ten years ago, so I knew the area. We’ve visited three to four times, met with city officials, and rode bikes with the local community. 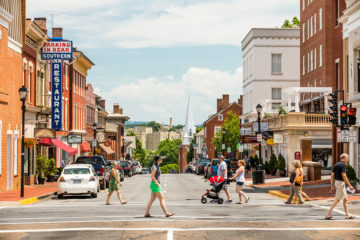 That confirmed what people were telling us, which is that Asheville is one of the top destinations for cycling in North America. It’s been a wet week, but how are you liking your stay so far? AL: I’ve been mainly working, driving as opposed to riding, but the riders are telling us that the routes are just spectacular. Riders are liking it and they’re wanting to come back. 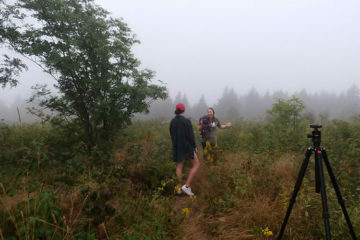 The first day, we rode a private 33 miles on the Blue Ridge Parkway, which is unheard of for a mass-participation event. 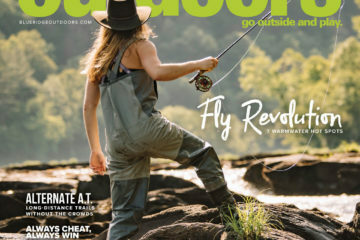 We had to work with the Park Service to pull a special permit. 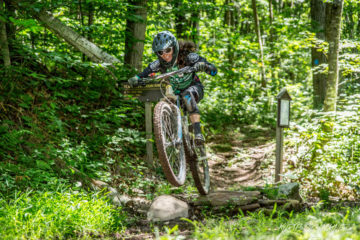 There are stringent criteria you have to follow, both as event organizers and riders to get a permit. It went without a problem. 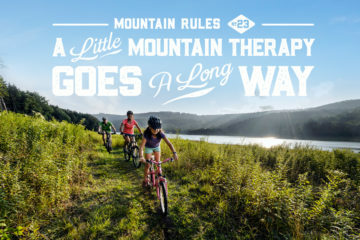 Cycling is big here, but Western North Carolina itself is a hub for a lot of outdoor recreation. AL: We were talking last night to a chap from Mexico City (one of the riders). He came because he trusts Haute Route to host the best cycling events. When he got here, he discovered that there’s more to just cycling in Asheville. Now he’s pumped. 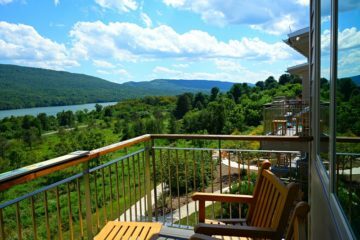 The next time he comes, he’s bringing his family, friends, and spending more time to discover all that there is to do in Asheville. Haute Route seeks out these amazing locations to ride. You secure these routes that cyclists would otherwise not know of. Do they look to you as the authority? AL: That’s correct. They do look at us as the authority. If you look back at San Francisco, we secured Angel Island for the time trial. It is a small island with a five-mile private road on it. We had it on a Sunday morning, all to ourselves. It was literally just the Haute Route riders and four park rangers on the island. That’s never been done before? AL: It was the first time it was ever done. We had to pull special permits and hire a private ferry to bring everybody to the island to ride. In Asheville, we’ve got 33 miles of the Blue Ridge Parkway reserved, which is also unheard of. In Utah, we just got word that on the first day, we’re going to go through three national parks and one national monument. It takes a lot of time to pull these together, but because of our reputation, we’re able to negotiate these special features and routes for our riders. What routes are you most looking forward to this year? AL: Let’s talk about the Rockies. It’s seven days, 500 miles, and 55,000 feet of climbing. Again, we were able to get permission to use a private road on the back side of Pikes Peak that has never been used for a cycling event. Our cyclists on stage seven will leave from Woodland Park, then cruise up the backside of Pikes Peak. From there, they will connect at mile 12 on Pikes Peak Highway. Once they get to the top, riders will head for the finish line at Garden of the Gods in Colorado Springs. Again, it’s something that’s never been done before. That’s why people come to ride Haute Route. AL: It’s the experience we provide. Here in Asheville, we have 41 police officers, a dozen or so safety motos, and nine cars so that our riders are always protected. We have Mavic on deck, lending a hand with support along the route. If you had a mechanical issue with your bike, you put your hand up and a mechanic will come help you. Just like the pros. AL: Let’s not forget about Haute Route Europe, where we started. We have events at all of the big monuments of cycling, including Alpe d’Huez, Ventoux, the Alps, and the Pyrenees. Our goal isn’t to just bring other countries to the American events. We want to bring Americans to the events in other countries as well. Riders get hooked on the format and they want to ride more. 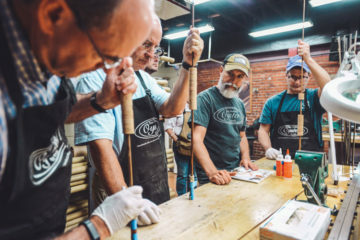 If they enjoy Haute Route Asheville, they can have the same experience in different countries. This year, we’ve added Maserati Norway to the list. Next year we’re going to be in the Middle East, hosting an event in Oman. One thing I’ve noticed is that Haute Route isn’t just a series of cycling events around the world. It’s a community of cyclists, who otherwise, wouldn’t have met each other. AL: When you ride Haute Route, you come back. People that have met for the first time here at Haute Route Asheville are already talking about riding together in Utah. This was my first time ever attending a cycling event of this caliber. It was impressive, to say the least. 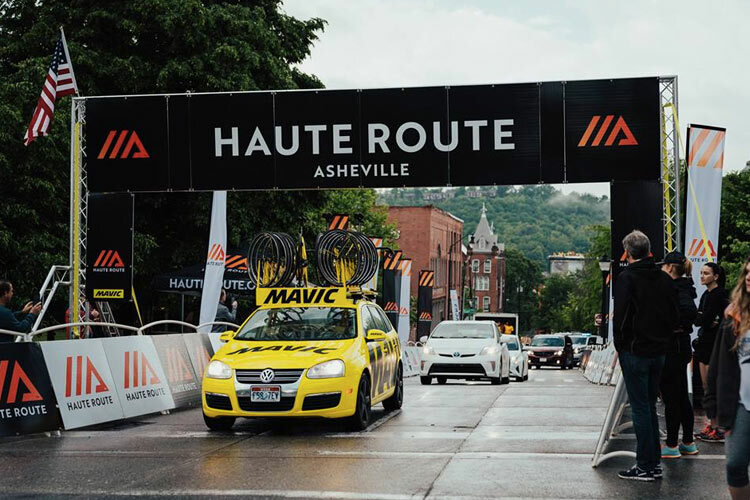 Haute Route Asheville relied heavily on local knowledge to develop the course and really highlighted the best our area has to offer. 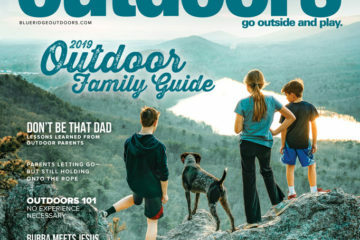 “We have a tremendous amount of local cycling knowledge in Asheville,” says Demp Bradford, Executive Director of the Asheville Buncombe Regional Sports Commission. 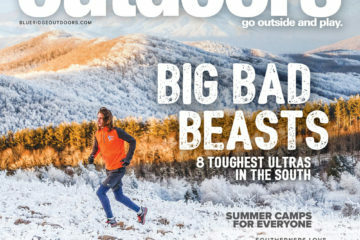 Bradford worked with the Haute Route team to bring the event to Asheville. For more information about Haute Route, be sure to check out their website. They will be back in 2019. 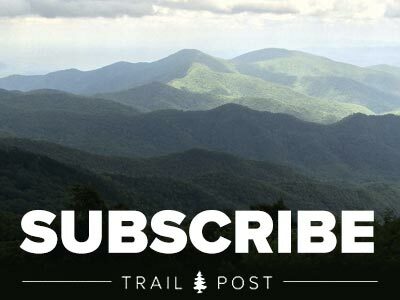 Previous ArticleTrail Mix – Rooster Walk Preview & Ticket Giveaway!